Small growths, moles and scars can be surgically removed from your face and body. It is best to see a plastic surgeon for skin imperfections as they have specialty training in suturing techniques that result in the best-looking, barely there incision lines. At the time of your initial consultation you will meet with Dr. Brooks to discuss your scar, mole or growth removal in detail. The surgical steps of your procedure will be explained and all of your questions will be answered. An unsightly, mature scar — over 6 months old — is best treated by surgical removal. It is important to note that your original scar will not completely smooth out and disappear, however, your existing scar will become less noticeable with a new, much smaller incision line. Everyone heals differently. Genetics, scar location and individual characteristics will influence how well your scar is going to heal. Dr. Brooks will remove your old scar with a scalpel blade then plastic surgery suturing techniques will be performed to carefully close the opening. For complex scar removal, Dr. Brooks may perform tissue rearrangement for optimal scar removal results. 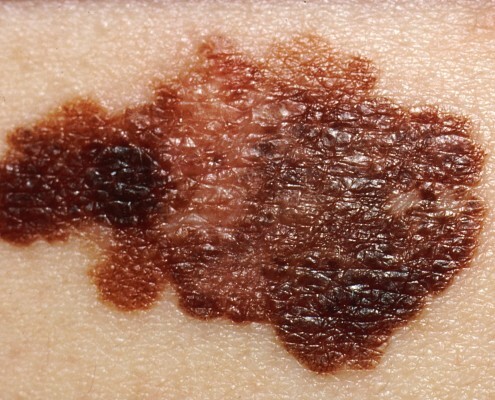 There are many different kinds of moles which are generally non-cancerous. Cosmetic mole removal is a common request for plastic surgeons. 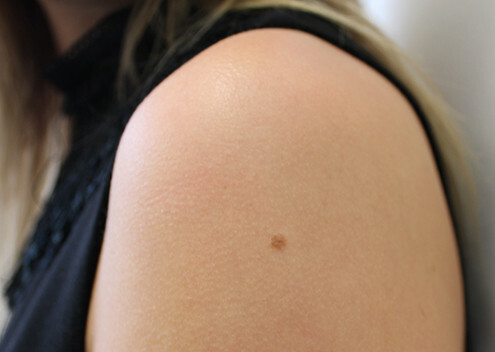 Dr. Brooks will assess your skin to determine how the mole should be treated. Growths can be found on surface skin or in the deeper dermal layers. Skin tags, fatty tumours, or firm bumps are some of the most common growths that plastic surgeons remove. 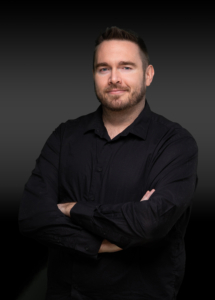 Dr. Brooks will advise you in consultation as to which method of removal best suits your needs. A local anesthetic will be used for your scar, mole or growth removal. You will extremely comfortable during your procedure. Scar, mole and growth removal takes about 15 to 30 minutes to perform. There is usually no downtime and there is a good chance that you will be able to go back to work right after your surgery. Dr. Brooks will give you specific post operative care instructions at the time of your consultation. You will be seen 5 to 7 days after your surgery for stitch removal and assessment. Scar revision, mole and growth removal can be combined with other cosmetic surgeries. For further information on combining your procedure with other surgeries, please discuss this with Dr. Brooks at the time of your consultation.